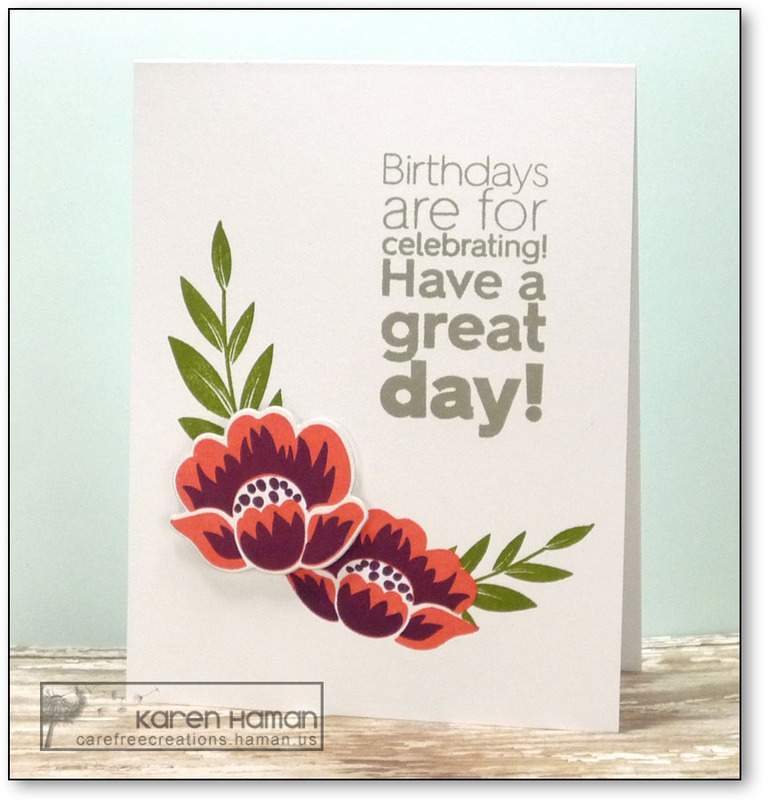 A very simple card – and practically a one-layer one as well! I did pop up the larger flower. The other flower was masked so that I could stamp the leaves. I recently picked up the Narwhal grey ink from Lawn Fawn – and I’m so glad I did as it complements this color scheme perfectly! This is gorgeous! I love those flowers, and your neutral sentiment is great. Love the flower colors and the way you position them with the sentiment, Karen. Love the color combo you’ve used for the images. And the sentiment is awesome, too. The blossoms are pretty in your color scheme! I like the sentiment, too.